Rock! Shock! Pop! Forums - Cult Movie DVD & Blu-ray Reviews, Comics Books, Music And More! - Kill, Baby… Kill! 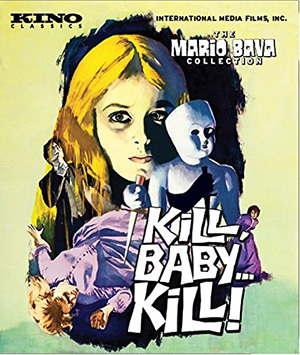 Widely recognized as one of the finest Italian gothic horror films ever made, the late, great Mario Bava's Kill, Baby... Kill! is a testament to the director's skill at combining painterly and atmospheric visuals with unusual and otherworldly storytelling. A ghost story at its core, on the surface the film might seem to be little more than a well-made exercise in style over substance but a bit of digging and it's obvious that there's a lot more going on in the movie than simply a little blonde ghost making trouble for a small town. 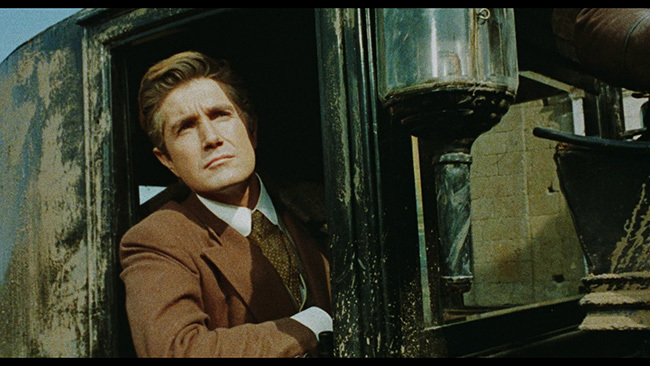 Giacomo Rossi-Stuart (of The Crimes Of The Black Cat) plays Doctor Paul Eswai is a coroner who has been sent to a small, run down village where he is to investigate a bizarre series of deaths which he suspects could be murder. 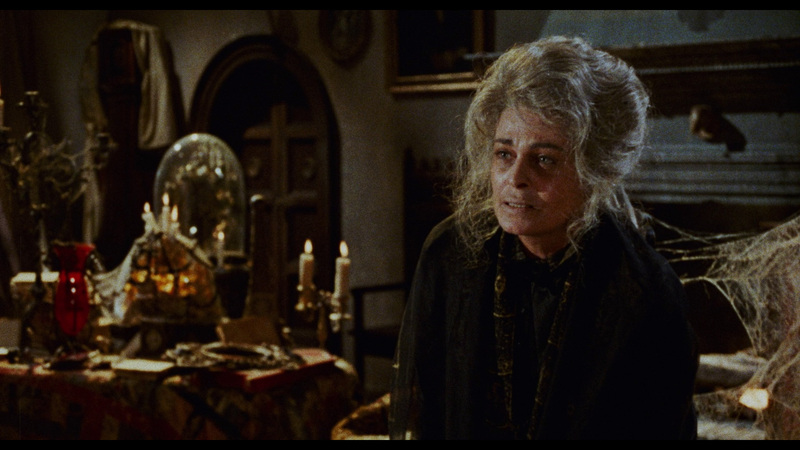 With the help of Inspector Kruger (Piero Lulli of Sergio Leone's My Name Is Nobody), it isn't long before the good doctor meets up with the lovely Monica (Erika Blanc of The Night Evelyn Came Out Of The Grave) who has just returned to her hometown with some medical training. Eswai, in order to carry out his investigation, decides he'll have to perform an autopsy on one of the victims, a maid who was impaled on a sharp fence when she feel from above, but the villager's protest. He carries on, thinking them to be primitive, and soon finds that the corpse has had a golden coin pushed into its heart. 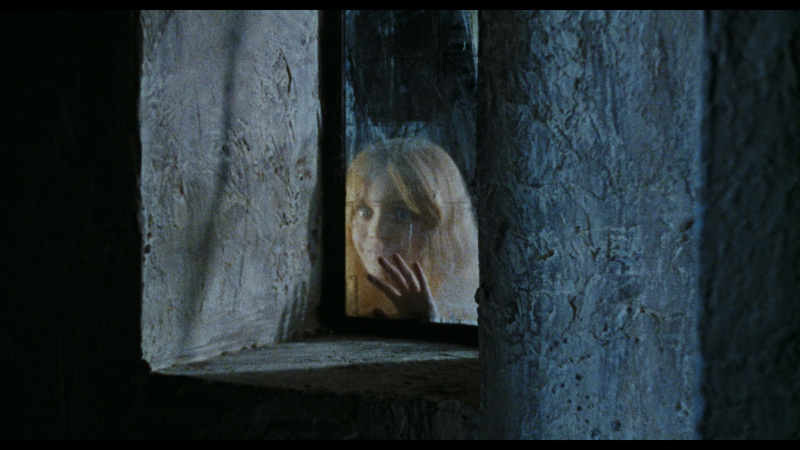 Eswai soon hears of a young girl named Melissa Graps (Valeria Valeri) who, years earlier, was killed in the streets of the town by a gang of drunks and, as legend tells, she has returned to exact her revenge. The townsfolk, including the Burgomeister (Luciano Catenacci of Crime Busters, credited here as Max Lawrence), all believe that if her ghost appears and looks at you, then you are not long for this world. Unfortunately, a young woman named Nadine (Micaela Esdra) saw the ghost recently and both she and her parents are convinced that soon she's going to die. Eswai meets up with Ruth (Fabienne Dali of Lenzi's Desert Commandos), a witch, and then later a strange older woman named Baroness Graps (Gianna Vivaldi) who ties into the strange happenings, and slowly but surely starts trying to put the pieces of this macabre puzzle together… but is the ghost real or simply local superstition? Proof positive that creative filmmaking is far more important than a big budget, Bava (whose budget was so low for this picture that it forced him to pillage soundtrack bits from his own earlier films) keeps things looking spooky right from the start and never lets up. 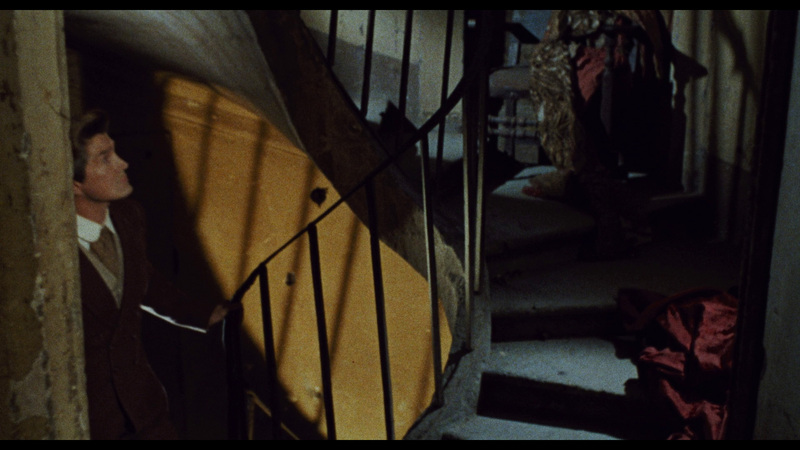 Decrepit old buildings, strange colored lighting, plenty of smoke and fog and some genuinely macabre looking interiors give Kill, Baby... Kill! more atmosphere than a movie made on the cheap over a couple of weeks has any right to have. 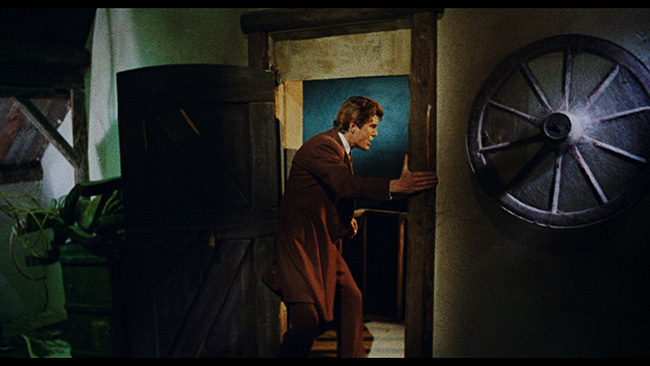 The film is a non-stop visual feast for the eyes and perhaps it was because he was working without the aid of big financial backing that Bava here makes every shot count for all its worth. 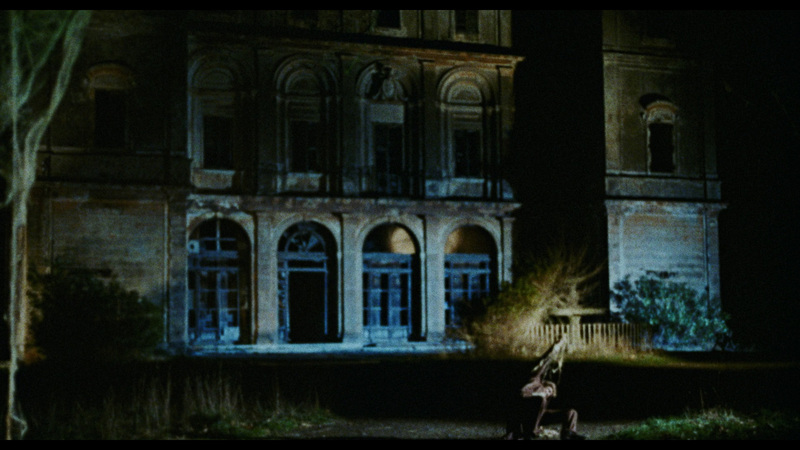 In addition to the lighting and the art direction the cinematography is also fantastic and quite creative. The camera follows Melissa as she plays on her swing set and periodically zooms in, Leone style, right into the character's eyes to emphasize certain key moments in the movie. As beautiful looking as the film is, however, Kill, Baby... Kill! isn't perfect. The story isn't particularly original (though oddly enough one could reasonably argue that it's had a big impact on a lot of recent Japanese horror films which play with many of the same ideas and there are similarities here to Stuart Gordon's Dagon as well... this has become a film of some influence!) in that it simply places a more sophisticated and educated man in amongt some superstitious rural types only to have him find the error of his ways. Like in The Wicker Man, we have a central character attempting to convince a secluded group of people with beliefs different from his own that their ways are wrong. It works and it's certainly sufficient but Dr. Eswai just sort of wandering around the town makes up a large portion of the story. Adding to that is the fact that Rossi-Stuart doesn't exactly set the screen ablaze with his charisma (though in his defense part of this could be the English dubbing more than his actual performance). With that said, Kill, Baby... Kill! still gets a lot more right than wrong. There is some truly chilling imagery here, particularly when the Melissa character presses her small hands and face against the dirty glass and curses those she looks upon. 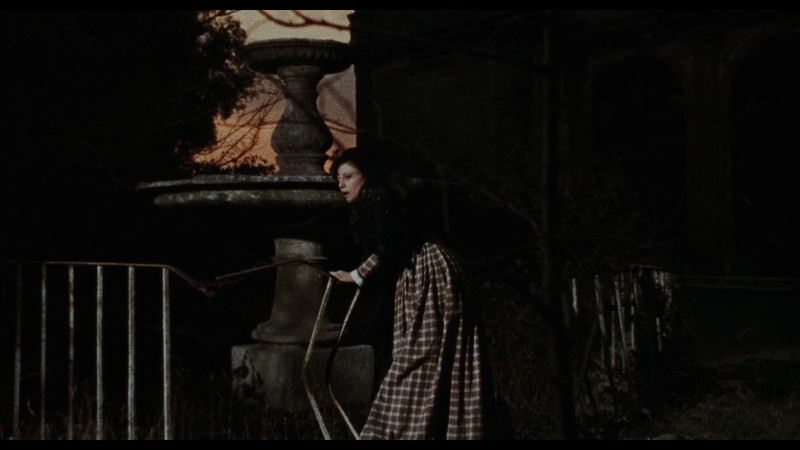 Bava foreshadows much of her diabolic activity by cleverly using a white ball that bounces around the town. It's interesting to see how the director uses an innocent child's toy to foreshadow the sinister acts to come. The story builds nicely to a satisfactory if somewhat predictable conclusion and the last twenty-minutes or so of the film really go get quite tense. Dr. Eswai's reality collides with that of the townspeople and he's forced to confront a reality which he doesn't truly understand and which the rational part of his brain tries hard to reject. It's this ending that ties the film up so well and which adds a certain level of surrealism to the picture, giving it considerably more depth than you might have expected it to have based on the first two thirds of its running time. A note about the opening credits on this release. After the suicide attempt that opens the film, there is a freeze frame over which the English credits play. 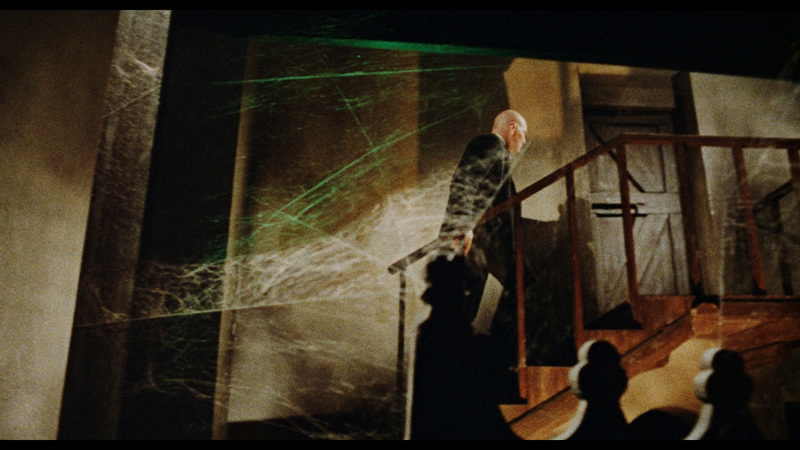 Some consider this a drastically inferior version of the alternate credits sequence that, after the suicide, shows the ghost walking through the building. That alternate (German language) opening credits sequence is include on the disc in the extra features section. Kino offers up Kill, Baby… Kill! on Blu-ray with an AVC encoded 1080p transfer framed at 1.85.1 on a 50GB Blu-ray disc. This is, for the most part, a pretty solid image. The transfer is given almost 26GBs of space on the disc and it moves at a nice bit rate, avoiding compression issues. Colors are more than a little on the green side at times, and there are moments where you wonder if they should pop a little bit more than they do but overall it looks quite good. The film's grain structure is left intact, there's no evidence of noise reduction here at all, nor is there any obvious edge enhancement. Skin tones look good, occasionally just a little pale, while black levels are solid. 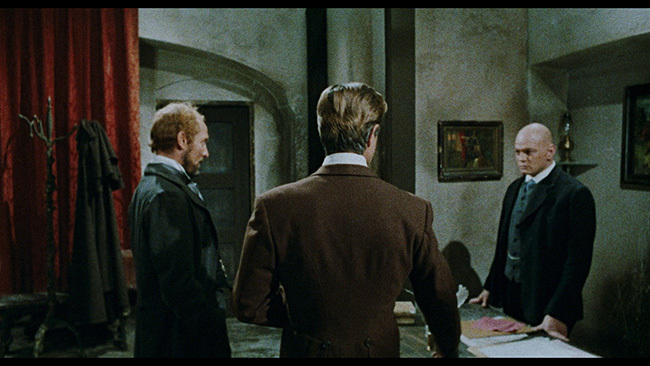 There's very little here in the way of print damage to note, the image is pretty clean and it shows good depth, texture and detail easily rising above previous DVD editions. The color reproduction does lean green though, something that will clearly both some people. Audio options are offered in 16-bit LPCM Mono in English and in Dolby Digital Mono in Italian with optional English subtitles translating the Italian track. It would have been nice to get the superior Italian track in lossless but that didn't happen. Regardless, the English track, despite some questionable dubbing, sounds fine and even the lossy Italian mix is decent enough. There are no issues with any hiss or distortion, levels are properly balanced and things sound clean and clear throughout. 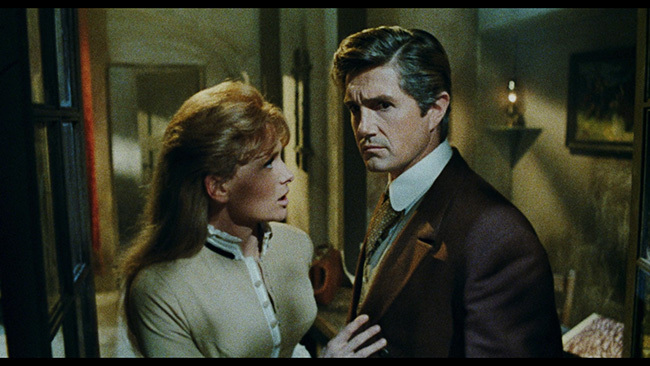 Extras start off with an excellent audio commentary from Tim Lucas of Video Watchdog fame and author of Mario Bava: All The Colors Of The Dark. Clearly, Lucas knows his stuff and it shows throughout this interesting and insightful examination of the movie and the man who made it. 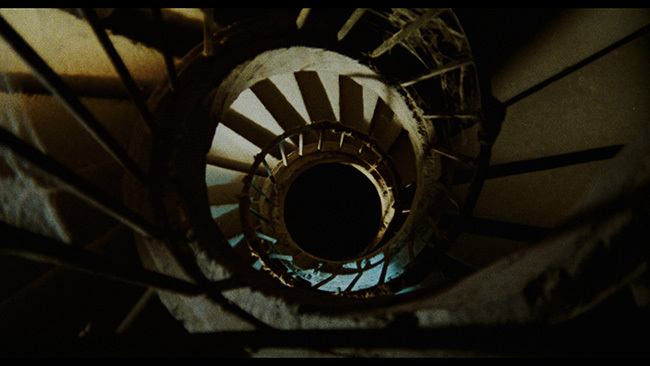 He details everything from the various alternate titles that the film has gone by in various international markets, which musical cues have been recycled from earlier Bava films to the shooting locations to the casting and more. Lucas fills in the basics as far as the history of the film and those involved in the production and he keeps it all coming at a quick enough pace to keep our interest without going too fast as to make things indigestible. At the same time, he also offers up plenty of critical analysis and interpretation. There is a lot of great information in here and it's scholarly enough to be believable but still completely accessible even to those less familiar with the genre or the director. Good stuff! The other major extra feature on this disc is a twenty-five minute long featurette entitled Kill, Bava, Kill! in which David Gregory interviews Lamberto Bava in the small Italian town where the movie was filmed. 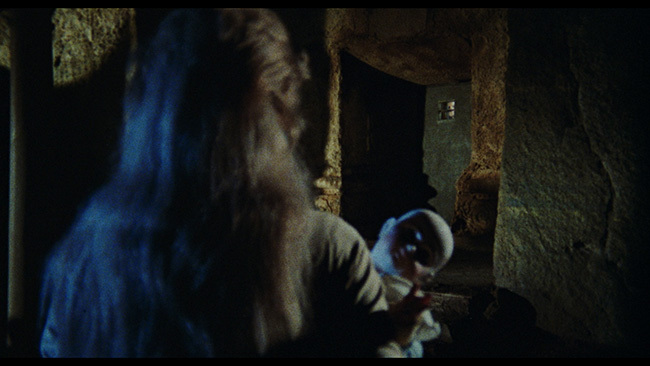 Bava talks about how his father and his grandfather were filmmakers before he was and how his father started out in the film industry before getting into specifics about Kill, Baby... Kill!. 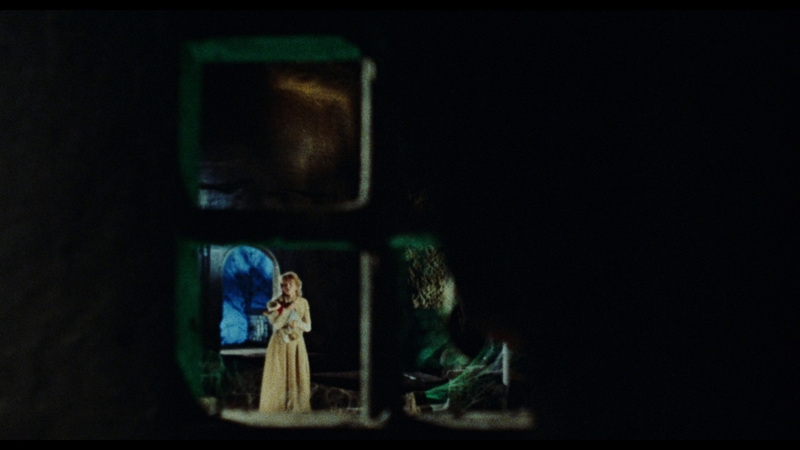 At just over twenty-five minutes in length it is a fairly in-depth piece and Bava makes for an interesting interviewee, particularly because he explains how his father was a bit of a fatalist and how he taught him the art of filmmaking and how we get a modern day look at the small town where the feature was shot. Also included on the disc is a ten minute long interview with leading lady Erika Blanc entitled Erika In Fear. She speaks about how Bava's films were originally regarded as B-movies but have since come to be regarded in more recent years as A-pictures, how she figured no one would remember the film when she was making it, her thoughts on her work in this particular film and quite a bit more. Rounding out the extra features is the aforementioned alternate German opening credits sequence, an English language theatrical trailer and three different US television spots. Static menus and chapter stops are also included. Kill, Baby... Kill! 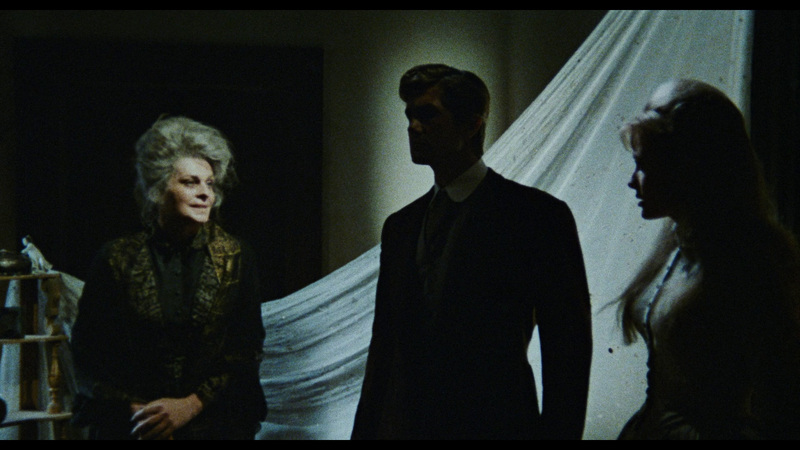 is easily one of Bava's finest moments, the movie holds up really well as a fine example of Italian gothic horror at its creepiest and most atmospheric. 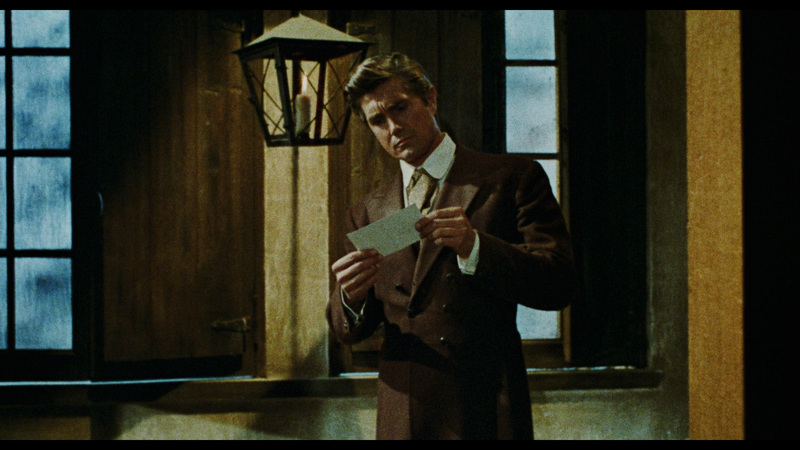 Kino has done a nice job bringing this to Blu-ray on a disc that sports a nice presentation, green hue notwithstanding, and a solid array of extras.